So, this double self-portrait painted by us both has been chosen to be part of the exhibition 'Portrait Now!' at the Frederiksborg castle in Denmark. We look pretty silly in it. If we knew so many people were going to see it, we would had painted ourselves extra real silly. 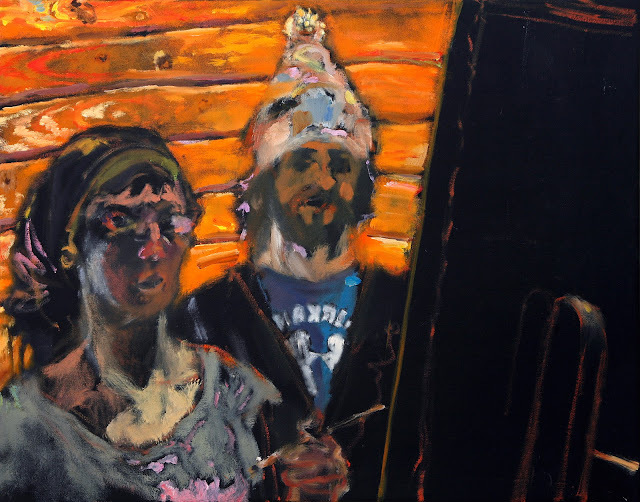 "Double Self-Portrait of Us Both, Painted by Both of Us"
oil on canvas, 72 x 90 cm.